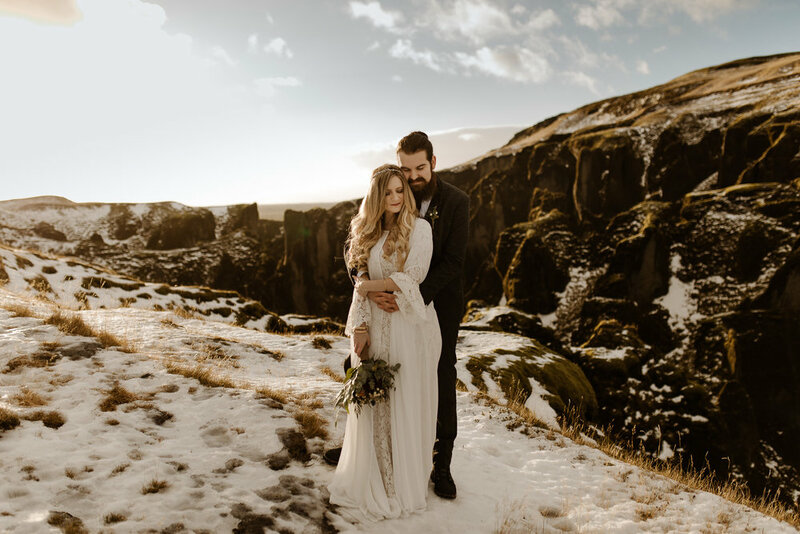 This winter elopement takes you on a journey from an old, stylish apartment close to down town Reykjavík through the wintery landscapes of the south coast. Visiting the frozen canyon of Fjaðrárgljúfur, exchanging vows and rings in the largest lava flow in recorded history, Eldhraun. Hiking between snow capped mountains and then a fitting end to an adventurous day, watching the sunset on a windswept cliff over looking the north Atlantic ocean. Add to that a beautiful lace dress, flowing blond hair, a handsome tweed suit, a beard and a man bun, coupled with drinking champagne straight from the bottle and you’ve got a dream elopement come true. 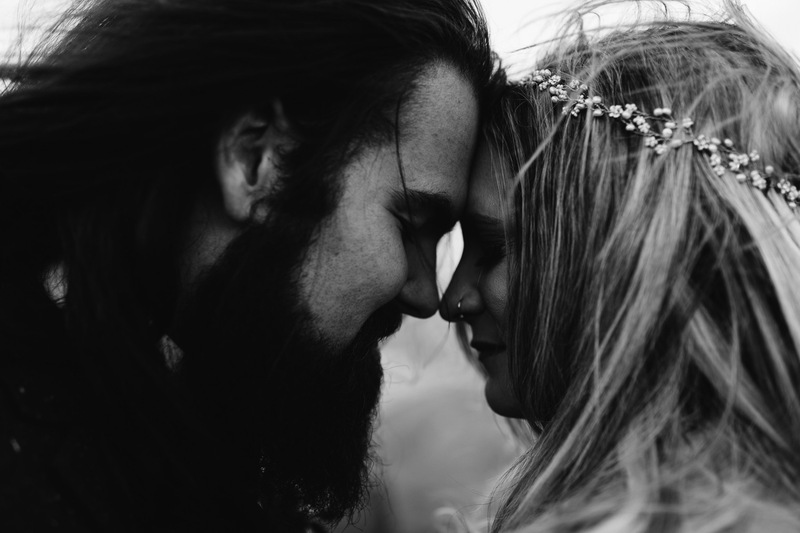 Caitlin & Dillon are an adventurous and non-traditional couple and wanted their wedding to reflect their personalities. So they left all the stress of planning a big wedding with their families back in the states and ran off to Iceland to get married just like they wanted to, just the two of them surrounded by nature. Lucky for us they felt a connection to our work after finding it online and together we planned and executed this wild and adventurous day that all four of us will look back on fondly for years to come. It’s amazing how quickly you can sometimes go from strangers to friends and we never take for granted to be let in on such intimate and personal moments in peoples lives.